One of the things we love most in this world is food, whether it’s fast-food, healthy fruits and vegetables or scrumptious desserts; let’s be real, people love food, and most importantly people need food! So it’s no surprise that artists from around the world are inspired to create a variety of items replicating its nutritious goodness. Take furniture for example, did you know that many different types of furniture and other household items are inspired by food? 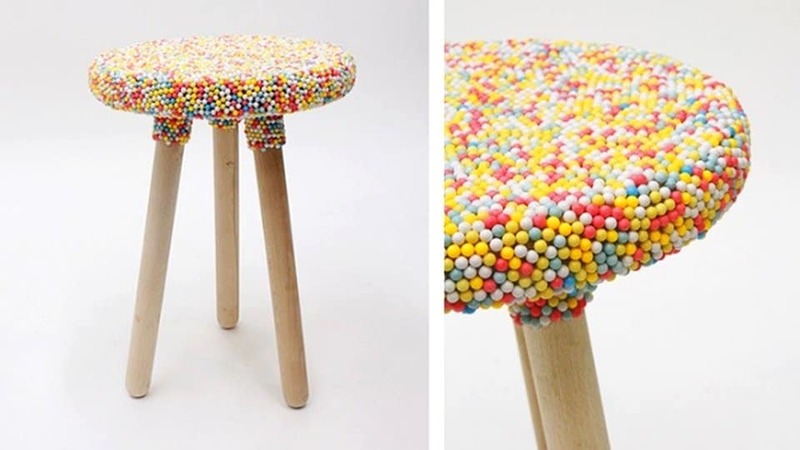 Well take a look for yourselves — here are 20 deliciously cool food inspired furniture. 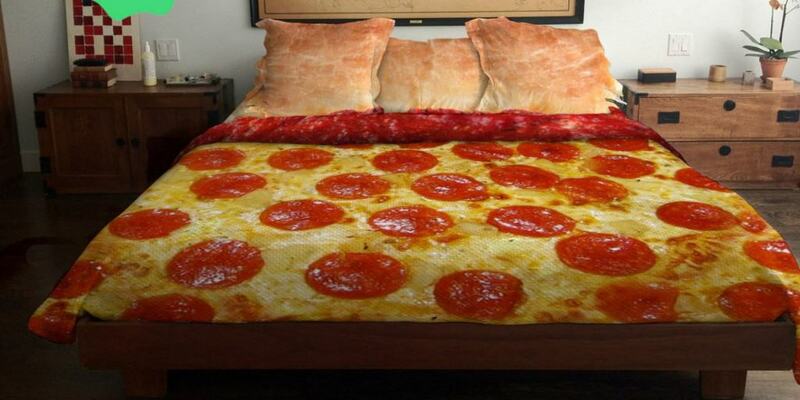 To be fair, it’s not so much the bed, it’s really the bedding that’s inspired by pizza, but you get the point. 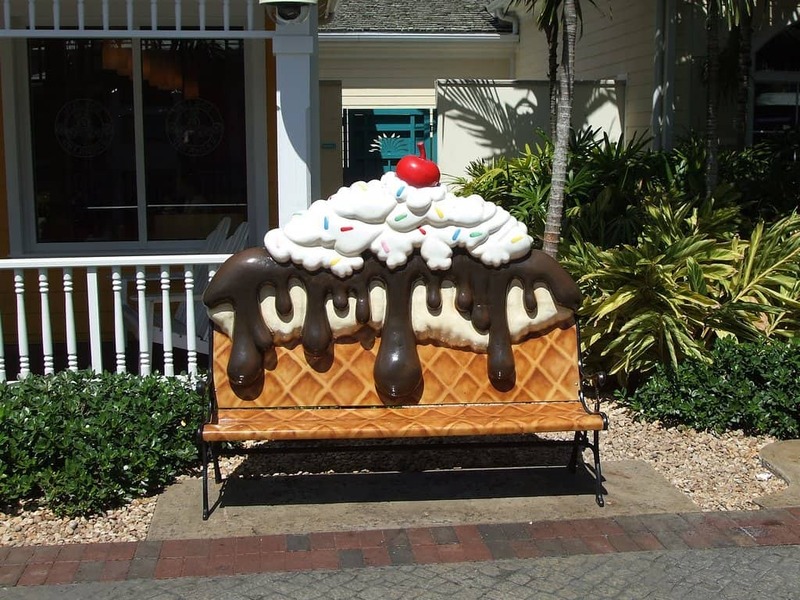 It looks delicious especially on a hot summer day, but take our advice and don’t lick it! 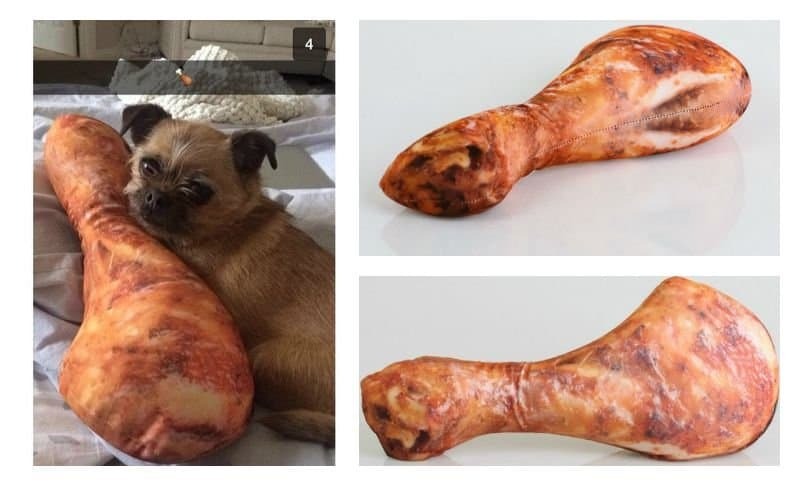 This could feed a family of three for a week; if only it was the real thing. Bummer! 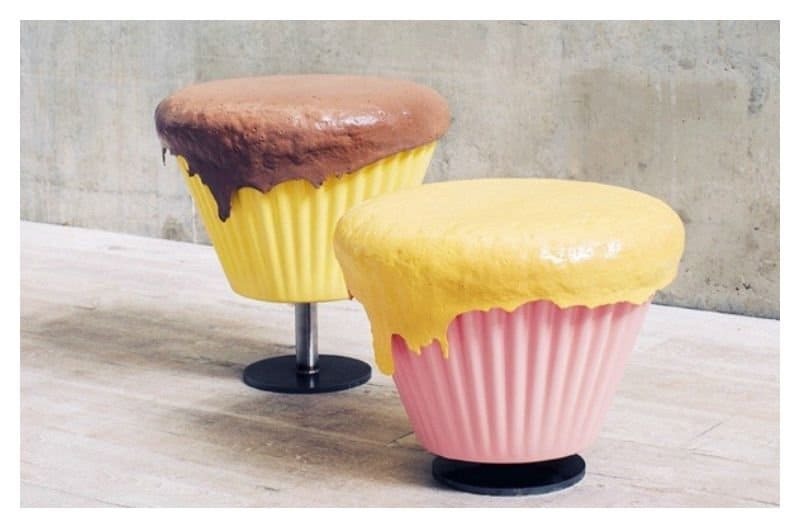 Is there anything cuter than these cupcake stools? I don’t think so! 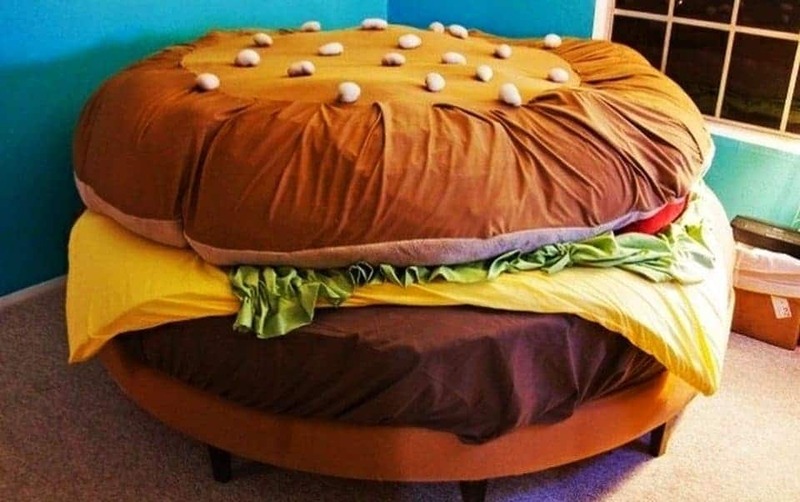 Cure your hunger pangs with this true-to-form hamburger bed; then again it might just make you hungrier! 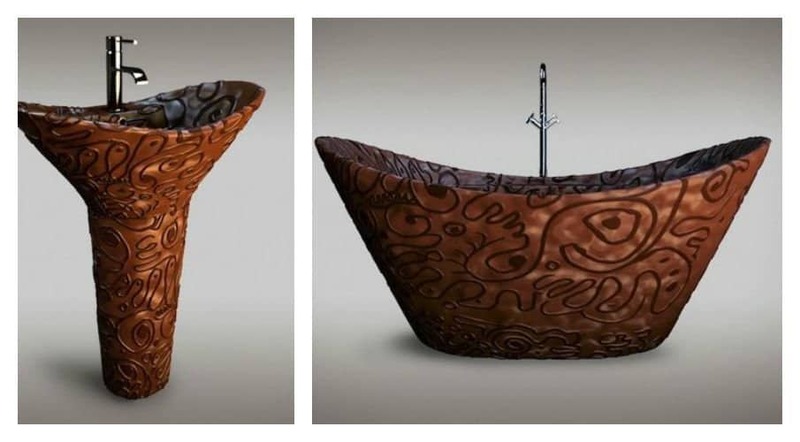 It doesn’t get any better than a chocolate tub and basin; I mean come on this is heaven! 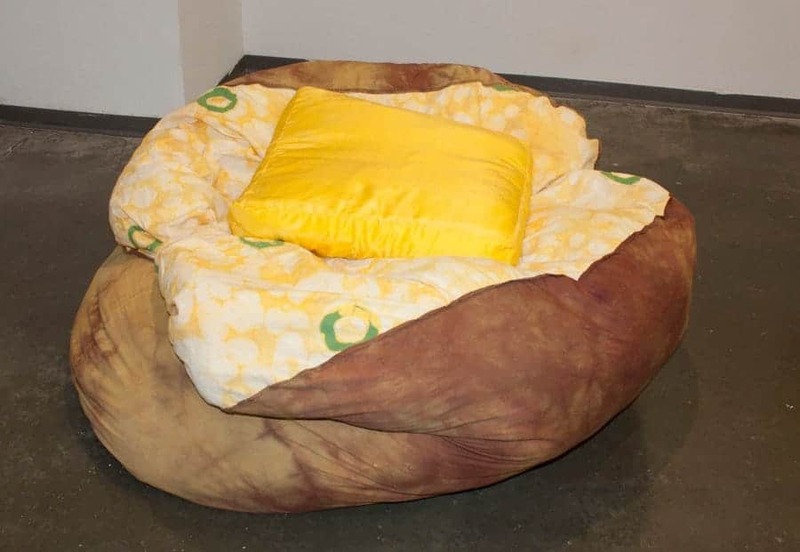 This quirky baked potato beanbag seems perfect for a college dormroom. 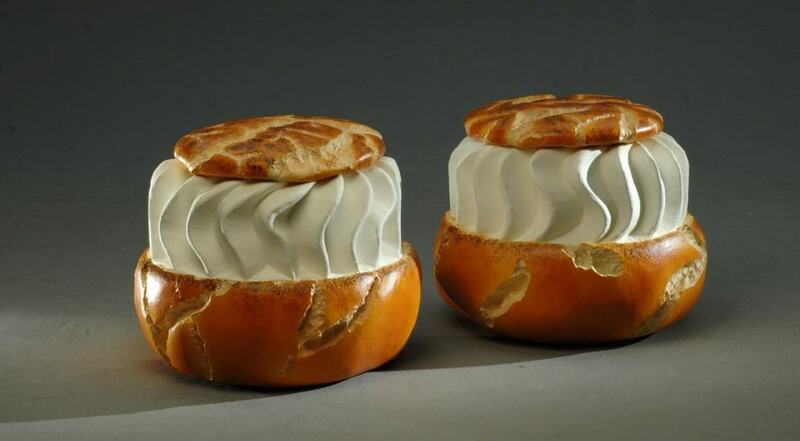 As edible as these may seem, they are for sitting not eating. 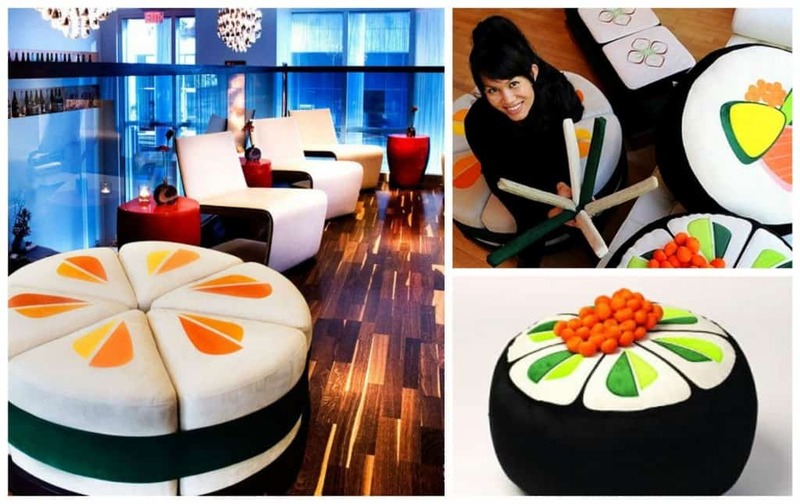 Who needs candy when you can satisfy your sweet-tooth with this candy bowl sofa. 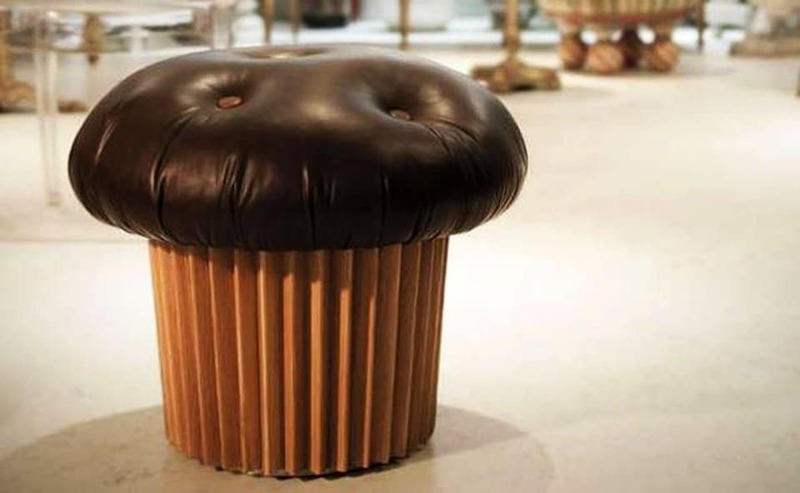 Whoever created this pouffe did a perfect job of replicating a muffin. Beanbags are fun, but ice-cream cone beanbags takes it to another level. 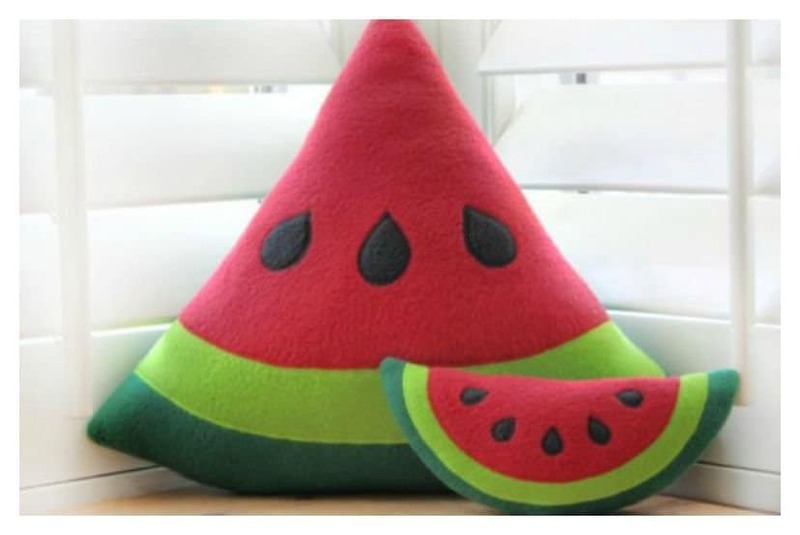 Who wouldn’t want to rest their head on a delicious-looking watermelon pillow? 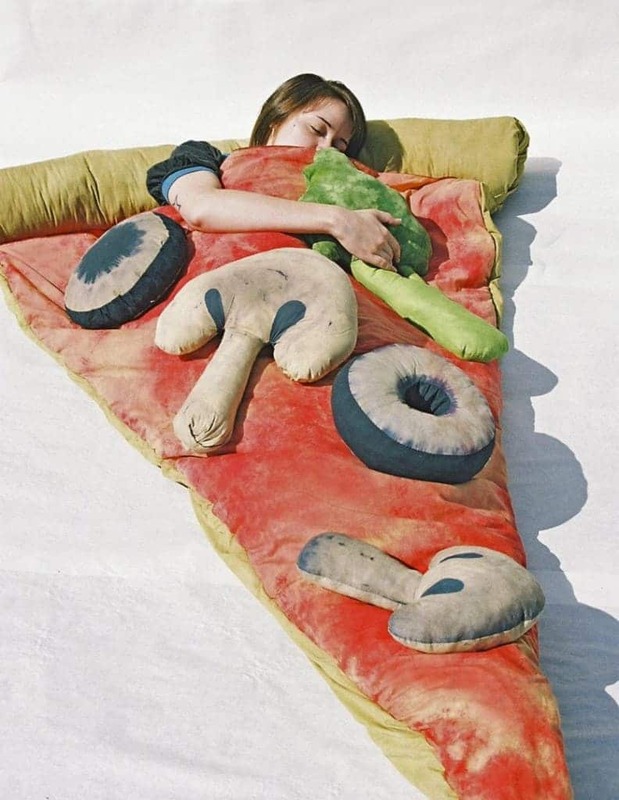 If you’ve always wanted to cuddle with pizza, now you can! 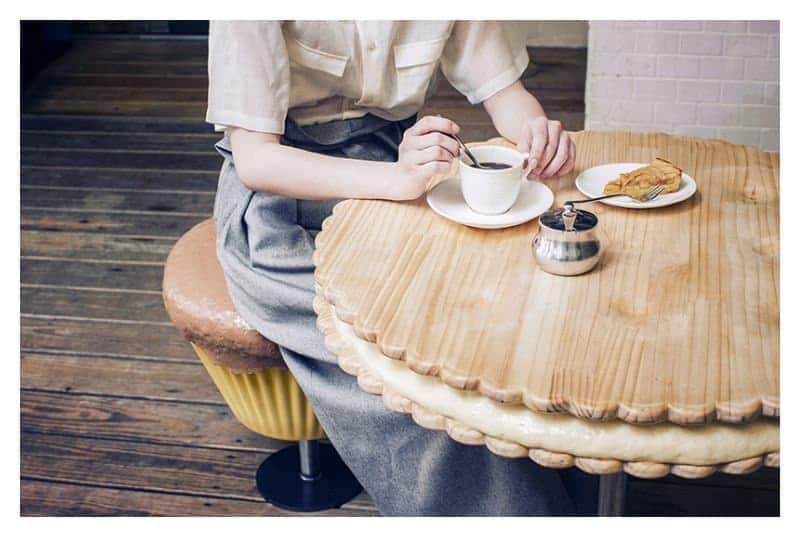 A table inspired by cookies? Yes please! The epitome of breakfast-inspired decor! 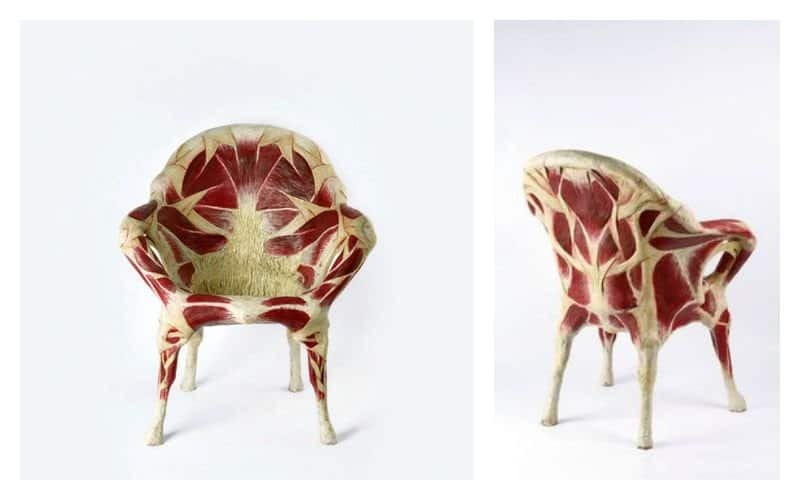 This is quite creative, but you couldn’t pay us enough to put this meat chair in our house-sorry. 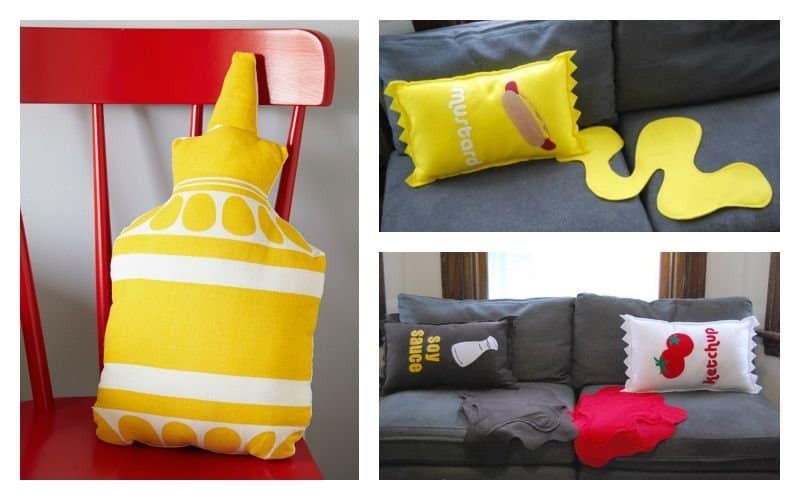 If we had to pick our favorite condiments ketchup and mustard would top the list; so this is pretty darn cool! Decorating your space with raw seafood would be weird and a bit smelly, but decorating with furniture inspired by seafood is perfectly acceptable. This is not just inspired by candy, it’s actually made with candy. Yum Yum! 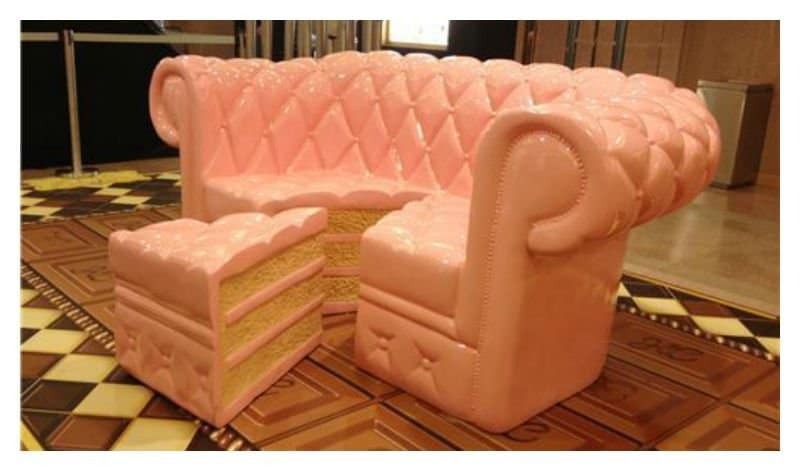 People make cakes that look like sofas, so why not sofas that look like cakes.